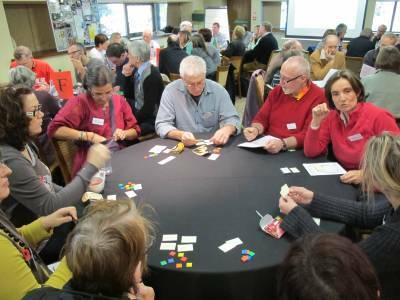 These events are an opportunity for eco-focused community groups in Derbyshire, Derby, Nottingham & Nottinghamshire to meet to share their projects, successes, struggles and ideas. There will also be a workshop at each event focused on creating and maintaining a group that endures and thrives. Extinction Rebellion: declaring a climate emergency. 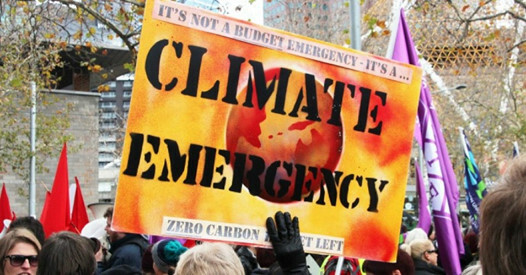 XR Nottingham will be talking about their campaign to declare a climate emergency. Nottingham Fixers. Jill Burns. The Nottingham Fixers are a band of volunteers who want to change the culture from ‘if it’s broken then chuck it’, to ‘if it’s broken let’s fix it.’ They run regular Repair Cafes in the city. Whistlewood Common: a community-owned woodland. Katherine Parrish will talk about a community-owned woodland with an eco-newbuild roundhouse near Melbourne in South Derbyshire. The project draws on permaculture principles. You can indicate you are attending either via the Facebook events or by emailing Caroline Harmon: caroline.harmon@mea.org.uk or you can just turn up on the day. Nearly 40 people from across the county, from New Mills to Melbourne, met in Derby last month to launch Derbyshire Climate Coalition. People came together desperate to get action to address the Climate Emergency which is threatening the whole world. They are calling for local councils to take a lead and are asking all councils in Derbyshire to develop plans to make their local areas ‘net zero carbon’ by 2030. Locally Wirksworth Town Council is leading the way, having formally declared a climate emergency recently. So far nearly 40 councils across the UK have declared an emergency. Our March e-newsletter is crammed full of local news and events realted to community action on climate change. Read it online. Sign up to get future editions straight to your inbox. Nottinghamshire is set to benefit from four new electric buses worth £900,000, due to hit the roads in 2020. Buses Minister Nusrat Ghani announced today that Nottinghamshire Council County is one of only three regional organisations that has secured funding from the Office for Low Emission Vehicles (OLEV) to help fund new green vehicles and infrastructure. 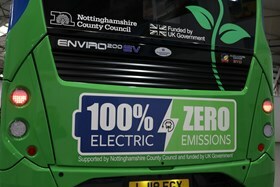 Nottinghamshire County Council, Trent Barton and Nottingham City Transport are all successful bidders and will receive funding to purchase new low emission buses and support infrastructure, such as charge points. 'This is fantastic news. This latest £900,000 funding means we can add to our electric bus fleet by introducing four new buses to serve local communities in the Rushcliffe and Mansfield areas. Even more bus passengers in Nottinghamshire will therefore benefit from the quieter, sleek and pollution-free buses, thanks to zero emission bus technology which will help improve air quality and reduce CO2 emissions. 'We are match funding this Government money as its hoped that this investment will encourage further take up of electric buses by bus operators as well as encouraging more people to use the bus. A number of environmentally-themed projects have received cash from Derbyshire County Council's Action Grants scheme and there's still more to give away. There's £1.25m still available and more than 200 community groups have already cashed in. Among these is the Eyam Repair Café which launched in February and will become part of a worldwide network of repair cafes where qualified volunteers repair stuff rather than it being thrown out. 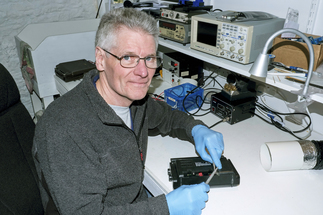 Colin added: “Applying for the grant was really straightforward and we found out in just a couple of weeks that we had been successful”. There is a rolling programme of applications and the council will be awarding grants until the end of May 2020.